While illegal immigration usually raises the ire of the public and politicians, few look closely at refugee programs. Most Americans, including Christians, reject the pro-amnesty stance fashionable among religious elites from the U.S. Catholic Conference to the Southern Baptist Convention to the National Association of Evangelicals. Yet many faith-based organizations, including arms of major religious entities, engage in resettling refugees. This Memorandum briefly reports on the financial stake certain religious agencies have in U.S. refugee resettlement. It shows that refugee resettlement has become dependent on U.S. taxpayers and is a disruption to American communities, with nongovernmental agencies profiting from it. The United States admitted 56,424 refugees in FY 2011, down from the prior year's 73,311 admissions,1 but still far higher than the rest of the world's developed nations combined.2 And the main reason for last year's drop was the steep decline in admissions of Iraqi refugees after two such refugees were arrested for plotting to send weapons and money to al Qaeda in Iraq.3 That total does not include other categories of humanitarian admissions that offer the same financial benefits to the religious agencies as refugees, such as asylees and Cuban-Haitian entrants, each with more than 20,000 admissions. It is to the United States' credit that our nation has, from her founding, provided a safe haven for the unjustly persecuted. However, even well-meaning efforts require accountability and should be balanced against other important, competing priorities. Without appropriate balance and oversight, helping refugees shifts from being a worthy humanitarian gesture in truly exceptional cases to an avenue for government largesse, enriching private bureaucracies while feeding public cynicism. Colloquially speaking, refugees are persons displaced by natural disasters, war, civil unrest, and similar causes of danger and persecution. Ideally, they can return to their homeland once conditions are restored. Traditionally, refugees being brought to America received ad hoc assistance from the State Department and from private charities spending their own money. Refugee decisions tracked U.S. foreign policy interests, with refugees being admitted mainly from the Middle East and communist countries. In 1968, the United States effectively became party to the 1951 United Nations Refugee Convention. This adopted the broad U.N. definition of "refugee," expanded the rights afforded refugees, and prohibited refugees' return to their home country if they claimed fear of persecution. The 1980 Refugee Act further aligned U.S. refugee policy with U.N. policy and established a federal refugee resettlement program.4 The president now sets an annual refugee cap. However, the U.N. High Commissioner for Refugees, whose office processes displaced persons and determines whether one meets the definition of "refugee," drives the process. Since 1980, the new Bureau of Population, Refugees, and Migration (PRM) in the U.S. State Department has referred individuals' files to one of 10 "voluntary agencies", or "volags", which in turn assign cases to local affiliate agencies. The majority of volags are religiously affiliated (see Table 1). Volags receive a Reception and Placement Grant from the PRM for each refugee they are assigned. Volags also collaborate with "mutual assistance associations", which focus mainly on ensuring that their charges retain strong ethnic and homeland ties. The U.S. Department of Health and Human Services Office of Refugee Resettlement (ORR) works further with volags and local affiliates, enrolling refugees in a broad range of welfare programs for which refugees automatically qualify after 30 days. They are not subject to the seven-year federal bar on welfare participation for immigrants, and those who naturalize remain eligible for welfare dependency beyond their first seven years here. In addition to federal assistance, a number of state and local welfare programs also underwrite refugee resettlement in their locales. The system is structured so that it is in refugee assistance organizations' self-interest to get a refugee to a receiving locality, enrolled in public welfare programs, and move along to the next refugee. Similar to what happened to private charity when the government took over many of its functions (and became less effective and efficient as a result), a refugee assistance industry has built up around government-run refugee bureaucracies and funding streams.6 It resembles other conglomerations of associations, agencies, and professional pleaders focused full-time on protecting and expanding their share of the public till, from public housing advocates to lobbies surrounding each "human services" program. Program "stakeholders" that receive millions of taxpayer dollars usually continue to receive funding year after year, with little accountability. These groups' mission becomes guarding the government golden goose rather than helping people achieve self-sufficiency or maximizing efficiency in usage of public money. This same phenomenon seems to have influenced the refugee resettlement industry, including its religious agencies. The amount of funding up for grabs for refugee resettlement is significant. The Reception and Placement Grant was $900 per refugee assigned to a volag from 1980 until 2010. In 2010, the RPG level doubled to $1,800 per assigned refugee. A resettlement agency pockets $700 of each per-refugee grant.7 ORR further funds volags and affiliates through separate grant programs. 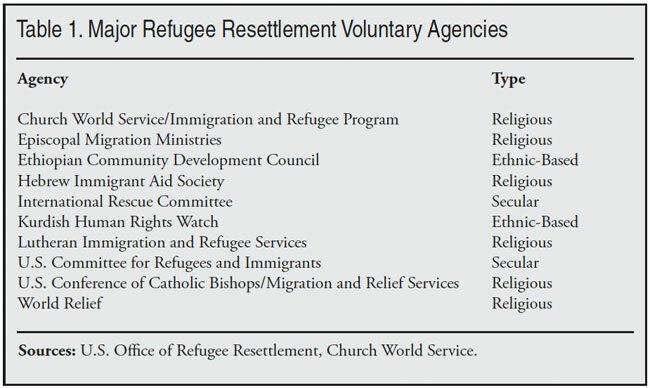 Table 2 shows the amount of federal funding allotted to several of the private refugee resettlement organizations. Click on Table 2 for a larger version. The volags that "resettle" refugees also maintain significant lobbying offices and advocacy programs, where public policy and politics are the coins of the realm. Because money is fungible, the more dollars these groups collect from the government the more private monies can go toward other purposes like political advocacy and lobbying. These groups certainly have a First Amendment right to petition the government, but they have no right to force taxpayers who may disagree with those agencies' agenda to pay for their advocacy. One of the evils stemming from the apparent love of taxpayer money relates to the adverse effects resettlement agencies cause for the American cities where refugees are settled. A 2010 report from the Senate Foreign Relations Committee concluded that resettlement organizations essentially force refugees on U.S. towns and cities, without consent or even notice. 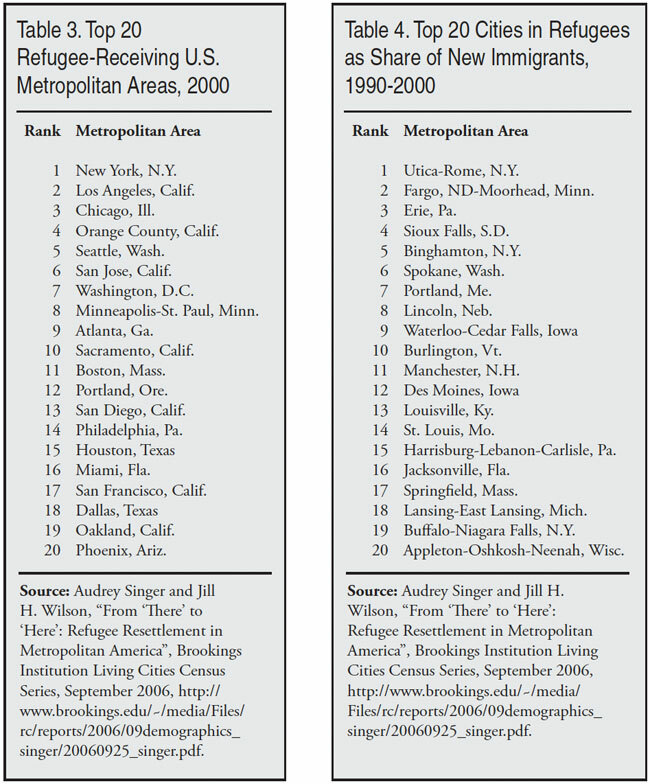 Table 3 shows the U.S. metropolitan areas receiving the largest numbers of refugees. Table 4 ranks metro areas by the share of new immigration that is the result of refugee resettlement — i.e., those cities most affected by federal refugee policies. Refugee resettlement has become quite remunerative for the voluntary agencies that now receive government payment for this line of business. Some 11 private refugee bureaus received about $37 million in government funding in FY 2011 alone. The constant focus on amassing taxpayer money in large quantities seems to compete mightily as motivation for religious refugee agencies which, before taxpayers could be tapped, appeared truer to the biblical imperatives to love your neighbor as yourself and to do unto others as you would have them do unto you. When money becomes an idol, it skews focus and perspective. The temptation naturally becomes to put preservation of government funding sources ahead of maintaining pure motives and focusing on the charitable work. Volags and their local partner organizations have a vested financial interest in raising the number of refugees admitted for resettlement in the United States. The more refugees taken by this country, the more cases assigned to each volag. The more refugee cases a volag is assigned, the more money the federal government hands over to the private agency. In some ways, the model resembles those charities that spend inordinately on fund raising and administration instead of on actually helping needy people. 2 The United Nations High Commissioner for Refugees reports data by calendar year; in 2010, the most recent data available, the United States resettled 71,362 refugees, more than 72 percent of the total 98,761 refugees resettled worldwide that year. See UNHCR Statistical Yearbook 2010, p. 152, http://www.unhcr.org/4ef9cc9c9.html. 3 Aamer Madhani, "Terror threat slows flow of Iraqi refugees here", USA Today, February 6, 2012, http://www.usatoday.com/NEWS/usaedition/2012-02-06-Iraqi-refugees_ST_U.htm. 4 As a result of the 1980 Refugee Act, a "refugee" is now defined in 8 USC 1101 as, in part, someone who has been persecuted or has a well-founded fear of persecution "on account of race, religion, nationality, membership in a particular social group, or political opinion." 6 See Don Barnett, "Show Me the Money: How Government Funding Has Corrupted Refugee Resettlement," Center for Immigration Studies Backgrounder, April 1999, http://www.cis.org/GovernmentFundingRefugeeResettlement. Also, for fuller background on U.S. refugee policy and how it has expanded over time, see Don Barnett, "A New Era of Refugee Resettlement", Center for Immigration Studies Backgrounder, December 2006, http://www.cis.org/RefugeeResettlement. 7 Sen. Richard G. Lugar, "Abandoned upon Arrival: Implications for Refugees and Local Communities Burdened by a U.S. Refugee Resettlement System That Is Not Working", Report to the U.S. Senate Foreign Relations Committee, July 21, 2010, p. 3, http://lugar.senate.gov/issues/foreign/refugee/report.pdf. 13 "City Council, Crime Round out Top 10 for Lynn in 2011", Daily Item, January 1, 2012, http://www.itemlive.com/articles/2011/12/31/news/news03.txt.